Should MPs’ and candidates’ addresses be private? Posted by James Hammerton @ 4:59 pm on 28 March, 2009. Categories privacy and surveillance, democracy and the rule of law, British politics, accountability, freedom of information. Members of Parliament have voted themselves the right to withhold their names and addresses from publication. Candidates at Parliamentary elections will get the same right. This is perhaps less surprising than it ought to have been. Last May, the High Court ruled in a Freedom of Information case that MPs’ addresses should be public information. British citizens ought to be able to check on MP expense claims, or to monitor the living arrangements of individuals such as the Home Secretary. In July, the government used an order in the House to overturn this, arguing that some personal information – particularly that relating to addresses and travel information – should be withheld from publication on the grounds of national security, and also the possibility that MPs would be harassed. In October, Julian Lewis, MP for New Forest East raised the matter in the Commons. He praised the Leader of the House, Harriet Harman MP, for her “decisive intervention” in respect of the High Court case. Anyone wishing to harass an MP merely has to wait for them at the House of Commons or their constituency office. In order to vote this country’s elections, I have to register my details in the publicly accessible electoral roll, as does anyone (including MPs) who wishes to vote in an election. If MPs addresses are to be kept secret, why not voters? Surely this is equivalent to me hiding my address from my employer? Contrast the attitude here with requirements on members of the public to register their details in numerous government databases, accessible to numerous public officials, and often run very insecurely, in legislation that these same MPs have voted for. If the MP’s address is secret, how are voters to know if the MP is lying about living locally? Second, and more worrying, was the way in which this measure was introduced into the House on Monday, as an amendment, with no debate permitted, to the Political Parties and Elections Bill. No matter how desirable a new law, it might be thought that a debate about its desirability would be even more desirable. In vain, backbench MP David Heath raised a point of Order as to “whether there is any precedent for taking a Division on a completely undebated new clause, which falls in a later group that we have not yet reached, which is in the hands of Back Benchers from an opposition party and which has not even been moved”. If they’re not going subject legislation to scrutiny, and they wish to hide from the public, then I say sack the lot of them, for they serve no useful purpose. Posted by James Hammerton @ 3:38 pm on 21 March, 2009. Categories freedom of speech, accountability, freedom of information, Australian politics. The Australian communications regulator has issued a stark warning that websites who link out to ‘banned’ hyperlinks are liable to fines of up to Aus $11,000 a day. The news comes after web forum Whirlpool was threatened with the fine for posting a hyperlink to a blacklisted anti-abortion website. One of the newest additions to Australia’s ‘blacklisted hyperlinks’ list is Wikileaks; the website that publishes anonymous submissions of sensitive info on everything from corporations, religion and governments. 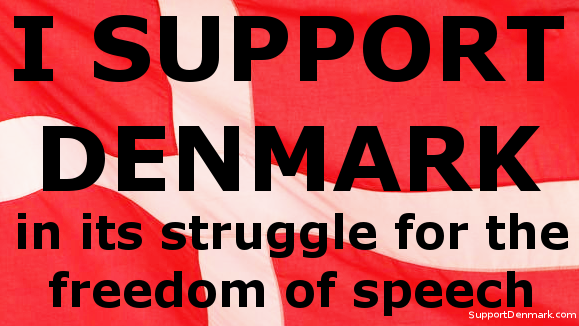 The blacklisting of certain pages of the site has come about after Wikileaks posted a list of websites at the tail end of 2008 that comprised the ’secret internet censorship’ list for Denmark. On this list were over 3,500 sites that were censored or banned in the country. Seems Australia has taken the Chinese approach to controlling the internet. Posted by James Hammerton @ 2:27 pm on 20 March, 2009. Posted by James Hammerton @ 7:42 pm on 1 March, 2009.